Home Gadgets Travel Alot? Don’t let bulky CPAPs hold you back! Believe me, we have come a long way. CPAP and BPAP machine were once very large and loud. In fact, most people don’t know this but the original CPAP machine was basically a vacuum cleaner in reverse. Back in the 1980s, Dr. Colin Sullivan first tested the idea of positive pressure in order to alleviate obstructed passageways. The first patient was so severe that he initially he recommended a tracheotomy but the family refused the surgery. Instead they opted to volunteer for the pressure experiment Dr. Sullivan had been researching for most of his career. Up until this point, dogs had been his only subject. Its been over 30 years since those first patient and CPAP has come a long way. Machines are more quiet and smaller than ever before. But even the newer machines for some people are still to big. I guess these patient never lived in the times of the huge dinosaur CPAP/BPAP machines. The Z1 cpap machine only is a great little CPAP machine. 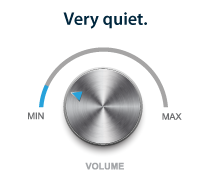 It makes 26 dBA of sound which by industry standards that is considered to be exceptionally quiet. In fact, at 26 dBA it is one of the most quiet. To compare; 20dB is equal to the sound of rustling leaves or a person whispering, and 40dB is equivalent to the sound of a stream or a refrigerator humming.. The Z1® on its website states that it is the lightest cpap available anywhere. 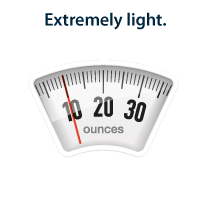 It breaks the scales at a mere 10 ounces. For comparison a full soda can weighs 12 oz. Thats pretty light! 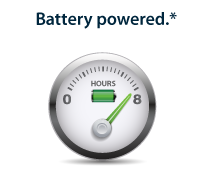 The Z1 cpap system has an optional* integrated battery system called PowerShell™. It delivers a full night of cord-free power on a fully-charged battery. This comes in handy if you are camping. Transcend boost being the first portable CPAP device designed for travel use. The machine is small, lightweight and portable. The above picture provides good reference next to a pair of keys. a vibration-free blower, Transcend only makes 26.6 dBA of sound for the APAP version. Transcend CPAP is rated at 29 dBA. Remember that normal conversation is approximately 65 dBA. Both are good machines. Which one have you use? comment below?